At the time of its launch, the NVIDIA SHIELD TV was one of the most amazing hardware options you could get to stream media at home. Designed for games, the NVIDIA SHIELD packs quite a good amount of computing power. The NVIDIA SHIELD does come with great specs and useful features. As time went by, the NVIDIA SHIELD TV updated to add even more features. These updates have been keeping it on top of the hardware scene for HTPC lovers. The NVIDIA SHIELD TV 2 now comes with remote and controller to offer the full NVIDIA SHIELD TV streaming/gaming experience. As content options for 4k HDR media are wider now than they were when the NVIDIA SHIELD TV first came out, this is a very important feature. 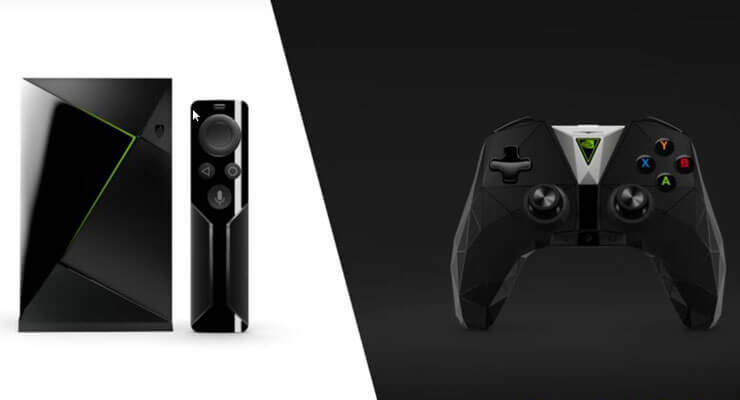 The content will look crisper and more detailed than ever before, with the new NVIDIA SHIELD TV 2. This was achieved previously with the first device via an update, but this time, you do not need a software update to enjoy the content in the best possible quality. 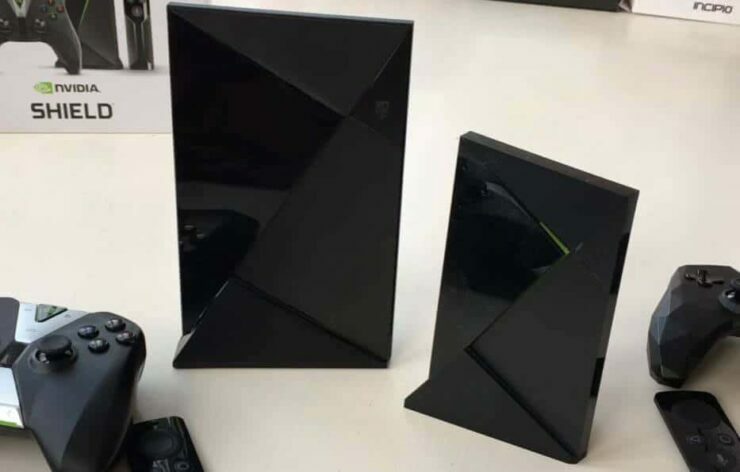 Here is a size comparison between the old and new NVIDIA SHIELD TV models. The new one is smaller and easy to carry around anywhere. There are some other things that stand out when analyzing the new NVIDIA SHIELD TV 2. For example, it now is an even better deal to buy one. The remote is included on the package, as well as the controller. The device is actually smaller as well, which will make it a good investment if you have limited space. Regarding the controller, it has also been redesigned, with an arguably better, more futuristic look. All of this is aimed to give you the full NVIDIA SHIELD TV 2 experience as soon as you first take your device out of its packaging. 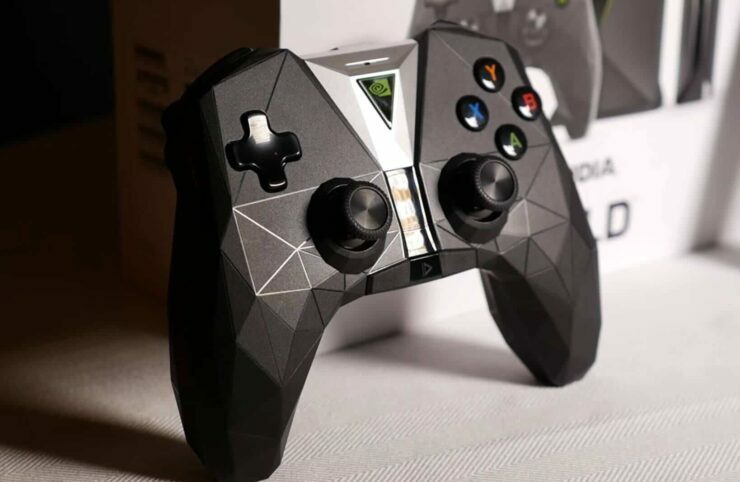 The new NVIDIA SHIELD TV controller has polygonal edges and a futuristic look, making it more attractive. NVIDIA SHIELD TV 2: Would you recommend it? One minor annoyance is the remote volume control design. I found myself accidentally swiping the remote volume control areas and altering the volume. 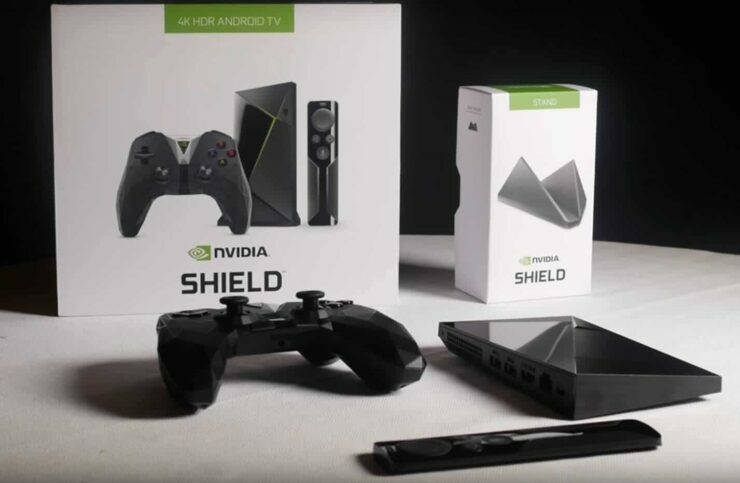 This being said, it is clear that the NVIDIA SHIELD TV 2 does have competitive specs to keep the NVIDIA SHIELD line of products up on top of the HTPC hardware options. I would recommend you get it, as it is an amazing piece of hardware. However, I would only recommend it if you do not have the old version. Hardware wise, they are very similar (albeit this one is smaller). If you are yet to purchase your definitive HTPC hardware device, for your main room or another TV in your house, then take a look at the NVIDIA SHIELD TV 2!